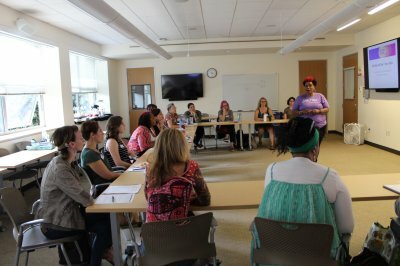 "White women are centuries late to the racial justice movement. It's time for you to hop in and get started and be willing to make mistakes. Not knowing what to do is part of the problem." Come get the solutions you need. Be sure you are 100% committed to the course expectations. Do the work and don't make excuses. Commit to the emotional, spiritual, psychological and financial commitments of this workshop. WORKSHOP TIME: 9:00 - 5:00 PM - You'll be provided with the workshop location upon registering. If you are ready to learn and take the journey of Reckoning, Reconstruction, Revolution and Resiliency - let's get started. Here's what you can expect. Radical personal reckoning and humility. Being will and able to be uncomfortable. And you know you want and need to do this "work," but don't know where to start or how to begin. Your eyes have been opened. You've read some books and have started to have some conversations yet, you still feel stuck on what to do next. You struggle between being called out and called in and maybe even feel paralyzed. You're not making much traction and you know your inaction is not the place you want to be in. You might feel some shame or guilt. You want to move your feet and take action, but you worry you might make a mistake or offend someone. You fear being called out. Does this sound like where you are in your social consciousness journey? Are you at the crossroad waiting for directions? 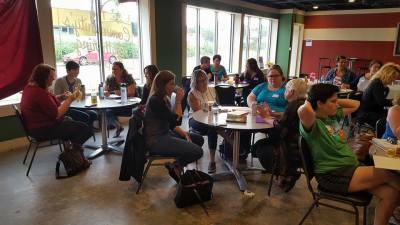 Do you feel stuck in real or perceived shame? Are you ready to do the hard work to figure this out? Are you ready to learn the skills to confront racism personally and socially? - THIS is the right workshop for YOU! 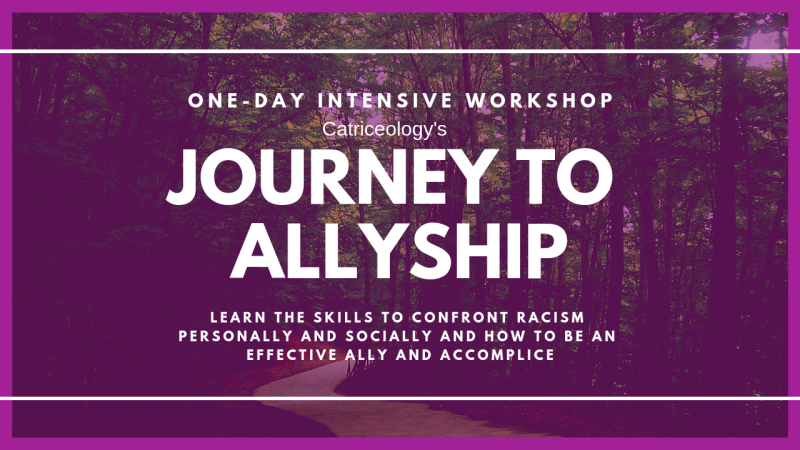 And if you're ready to dedicate yourself to confronting and eradicating racism personally andcially, no matter what, then this workshop is perfect for you. If you don't know... "asking" people of color to teach is a no-no - the ask and expectation to do so is a racial microaggression. I realize this is YOUR work to do. I also realize when people are willing to listen and learn the teacher must teach. - I'm ready, are you? IMPORTANT: This content is part of my retired 12-month Journey to Allyship Program. This course is a Beta Test Offering. The workshop fee is discounted during the Beta phase and ALL CONTENT IS proprietary intellectual property. Also, I do not offer CEU's for courses on teaching folks how to be non-violent human beings. PLEASE BE SURE TO READ THE TERMS AND AGREEMENTS BEFORE SIGNING UP FOR THIS WORKSHOP. ALL REGISTRATIONS NON-REFUNDABLE. Brooklyn Park Community Activity Center 5600 85th Ave. N.